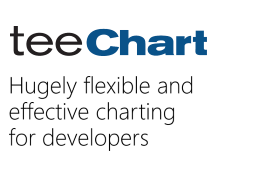 I installed Teechart pro 2018.24 on RAD Studio Delphi 10.2 Version 25.0.28979.1978. I tried to compile a simple project with a single TChart object and no additionnal code. It didn't work. I unistalled light and pro versions of teeChart, re-install pro version, redefined paths for dcu files and navigation for win32 and android. It still doesn't work. The error message is "[dcc32 Erreur fatale] Fmain.pas(7): F2051 L'unité FMXTee.Procs a été compilée avec une version différente de System.Generics.Collections.TArray.Sort"
I solved the problem. I uninstalled TeeChart, and RAD studio, then I installed latest version of RAD studio, and installed and reinstalled Teechart. Good! Thanks for letting us know and sorry for the inconvenience generated.